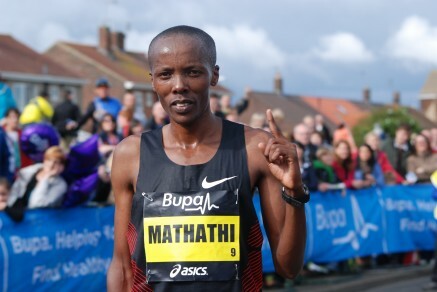 Martin Mathathi (KEN) the 2007 IAAF World Championships 10000m bronze medalist, was an impressive winner of the 67th Fukuoka International Marathon on Sunday. Taking the lead with 10km to go, Mathathi started to push the pace hard in the final seven kilometres to leave his final challenger and compatriot, 2012 Fukuoka winner Joseph Gitau, having to settle for second place. As an example of how hard Mathathi worked in the closing stages, he covered the stretch between 35 to 40km in 14:39, the second fastest split ever for this part of the race. Mathathi’s winning time of 2:07.16 was the third fastest by a PACE athlete this year.